Fishtail Cottage: Wooden Fishtail Cottage Sign… "
Looking so sweet in our entry way is the latest edition of charm to Fishtail Cottage. 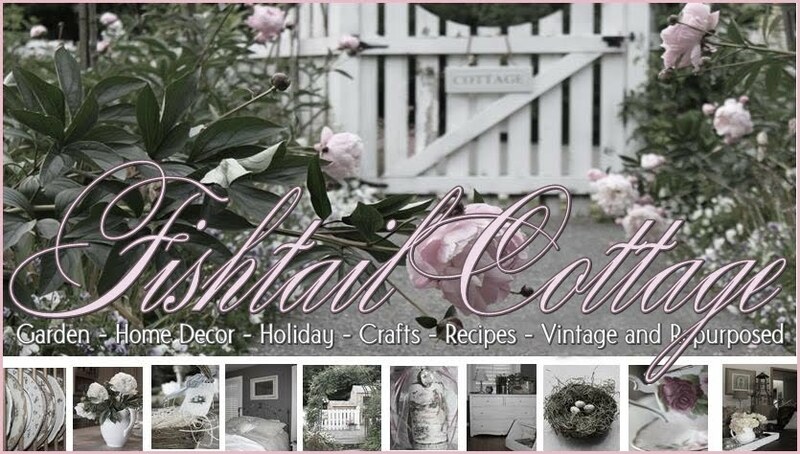 I saw found Castle and Cottage’s shop back in November 2010 when I first began blogging. I really wanted to have one of her beautiful signs put in my home, but couldn’t figure out which one to order. She and I began exchanging email about an idea I had and she did some photo shop mock-ups to give me an idea of what she thought I meant! So happy with the way this sign has lit up my entry for all to see! The entry is just out side my den which has added charm to all aspects of my home! Be sure to visit her shop and check out what she has available! How cute!!! I love it! I love it! And you door is no wall flower either, lol! I love the sign. She really does have some great stuff too. 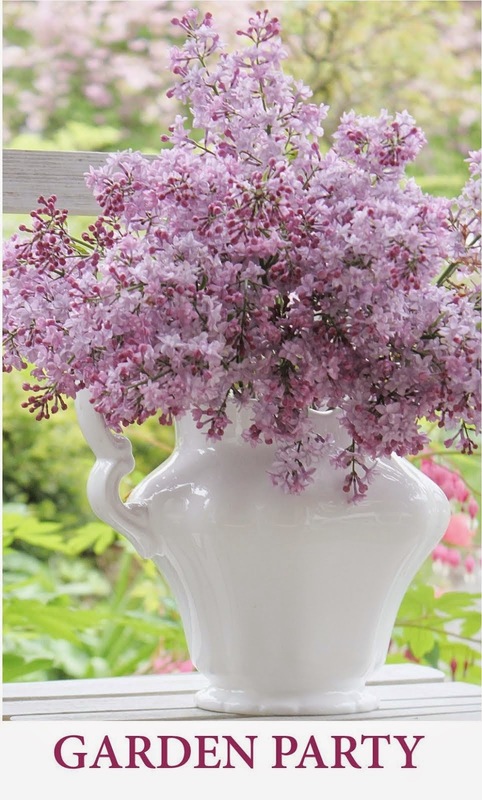 It's just perfect for you and looks wonderful in your pretty foyer! I have 2 of Paula's signs and I think I may get a few more! That is a great addition to your entryway, I love it! That is indeed beautiful in your home. You have one of the loveliest headers in all of blogland. wow! The sign made such a substantial presence! Thank you so much for linking, I love this! I love the sign! It looks great there. The sign fits in with your lovely entry. I love it! and that is a perfect spot for it too. That is the cutest thing! Oh my! I think I have to get one of those signs for my farm entrance. It looks perfect there...I just won one from her and love it! Love your blog...I'm a new follower! Thanks for coming to my blog and the compliments!! I have the same tree hall stand and I just painted mine white! The sign is just perfect and I love where you put it. I have visited the shop and their signs are beautiful. What a lovely sign. It looks perfect there. I also love your door. It is beautiful! What a beautifully personalized sign...I'm so jealous:) BTW, thanks so much for your sweet comment about my "make it pretty" post...means so much!! It is perfect there and a very lovely sign, congrates. Oh Tracie! I love this great sign! Wow...perfect! How did you ever come up with that name anyway? So quaint! Love this! It is perfect!